Home » Blog » Do I Have To Pay An Old Debt? 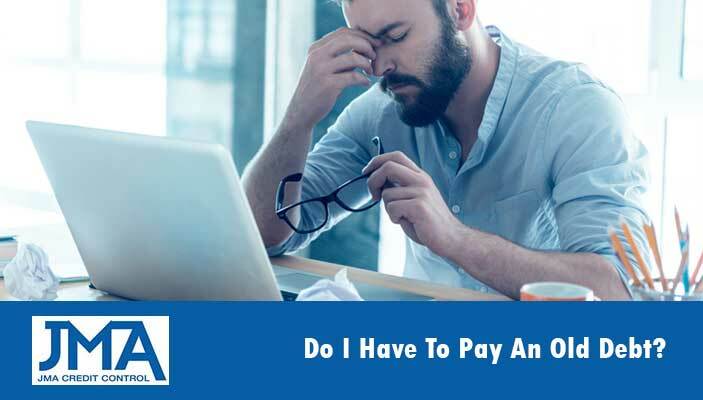 If you’ve recently been contacted about an old debt that you owe – or that someone such as a debt collector lender claims that you owe – there a few important facts that you should be aware of first. These facts relate to the type of debt and how old the debt is, and in many cases if the debt is over six years old it may be “Statute Barred”, which means you are not legally obliged to pay the debt. There are certain cases though where the limitation of liability period is extended from 6 to 15 years. This would be the case when. In either case it is always recommended to seek professional advice when you are contacted about an old debt. What Do I Do If A Debt Collector Or Lender Says I Have To Pay An Old Debt? If you ae not sure if a debt is statute barred then you need to be careful when responding to a request for an old debt to be paid. If you do make payment or acknowledge in writing that you owe the debt, the 6 year limitation of liability period will reset and your debt will no longer be statute barred. A Debt Collector Called Claiming A Court Judgement Was Entered Against Me, What Do I Do? In these can it is crucial that you ask for proof of the court judgement before doing anything else. Do not simply accept anyone’s claims about the debt. If their claims are true you should have been issued court document confirming that a court judgement has been entered against you either by the lender themselves or a debt collection agency. If it is true that the credit has started legal proceedings against you will be served with document called Form 5A or Complaint. When you receive the complaint you have 21 days in which to complete your defence on the 5A form and return to the magistrates court that served the papers. You’ll also need to request all relevant documentation and proof of the debt from the debt collector or lender to ensure you can provide a complete and accurate defense. It’s important to always seek your own professional advice instead of assuming what the lender or debt collector is telling you is true. And always keep records of any communication between you the lender or debt collector.